The Pinnacle | The 2019 Top Echelon National Convention is in New Orleans! Now that the 2018 Fall Conference is over—and what a great conference it was—we can turn our attention to the 2019 National Convention. And in case you were wondering, the 2019 Top Echelon National Convention will be held in New Orleans! This past spring, we held our 30th Anniversary Convention in Nashville. How are we going to top that, you ask? Heading to New Orleans next year is a great first step. And, of course, we want YOU to join us. That means we want you to save the dates of the National Convention. It’s been quite a while since we’ve been in New Orleans. Never 20 years, as a matter of fact. So you might say that we’re overdue for a visit. 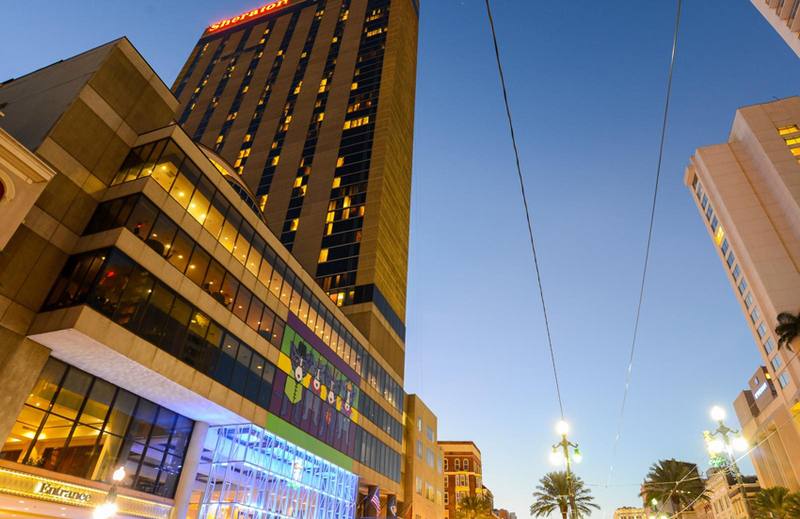 The site for the convention will be the Sheraton New Orleans, which is conveniently located near Bourbon Street. We don’t yet have the speakers for the National Convention or the price of Early Bird Registration. (Or Regular Registration, for that matter.) But you can rest assured that will be releasing that information in due time, more than likely by the end of the year. The National Convention and all of our recruiter networking events are designed with one goal: to help Network members make more split placements. And when you meet each other in person and build relationships, then you increase the likelihood that you will make more splits. I’ve said it before and I’ll say it again. I’ve been doing this for 12 years, and I’ve yet to have a recruiter tell me that they regretted attending a Fall Conference or National Convention. Everybody who attends is glad that they attended. So if you join us in New Orleans next year, you’ll be glad that you did. And we’ll be glad, too. So save the dates for the 2019 National Convention, and be on the lookout for more announcements and more information about the event!